Pejam celik, pejam celik. I’ve been here for two weeks. The first two weeks were very happy for me, no assignments and presentations, no burning the midnight oil and etc. Cuma the only thing that makes everything is ruined ialah elaun belum ada. Well, when I have nothing to write about, so this is my chance, writing about my miserable life kalau tiada elaun. This early semester is quite similar with my PPISMP first semester. 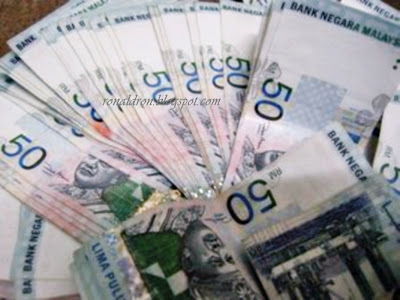 The time I enrolled without allowance was very hard for me, my fiscal was amply supported by my parents. With the amount of my pocket money, I tried to spend it wisely. Sekarang lagi lah… pokai sudah… my previous semesters ok lagi, ada lagi lebihan2 elaun tahun2 lalu, but now, wtf! I need money! Hehehe. I’m not talking craps here but cuba tanya tu guru-guru pelatih, perhaps almost each and every one of them pun mau elaun cepat2 kan? Ya kah? I can see my friends eat Meggi as their meals, bread, or even eat nothing. Jaga sakit perut. Hehe. We’re in the same boat, so when the boat sinks so do I.
hey you! do you like my blog? I haven’t check my allowance yet.